The Graybar Storefront of The Siemon Companyeed Fiber Termination Kit contains all the tools and consumables required for termination of up to 200 multimode ST or SC connectors, within a rugged canvas case. 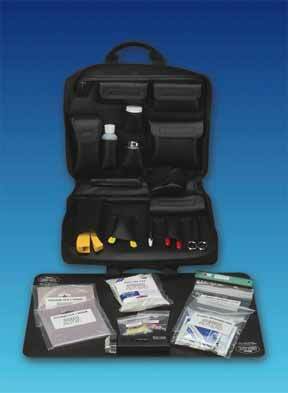 Consumables, tools, and other termination products supplied with the kit can also be ordered separately. The termination kit includes The Graybar Storefront of The Siemon Companyeed adhesive system, which features a 30-second cure time. The adhesive is tinted green to provide an easy visual indication during the termination process, and has an extended 1-year shelf life.